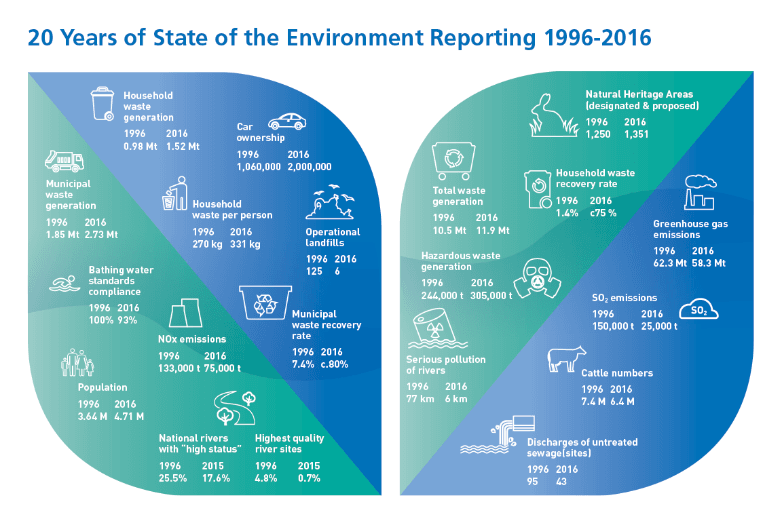 Ireland’s Environmental Protection Agency (EPA) has released its sixth landmark State of the Environment report, providing an integrated assessment of the overall quality of Ireland’s environment, the pressures being placed on it and our responses to current and emerging environmental issues. Speaking at the launch of the report Laura Burke, Director General of the EPA said that the overall state of the environment in Ireland is ‘good’ – but warned that it’s a highly qualified good. The details of the report reveal huge challenges and worrying trends, and she warned that both the State and all citizens need to act quickly to protect what we have. The report stresses the inextricable link between a healthy environment and our health and well-being, warning that comparing levels of pollution with our European neighbours often gives a false positive impression of the state of essential environmental factors like clean air and water on our island nation. Water quality in Ireland also compares favourably to our European neighbours when statistics are aggregated and presented at a national level — but the detail paints a disturbing trend of loss and degradation. In the 1980s more than 500 Irish waterways were classed as pristine — in 2015 that figure has fallen to just 21 — a mere 0.7%. The report also paints a bleak picture for our biodiversity — which is essential to maintain a healthy environment for all of us. Just over a half of all the species in Ireland protected under the EU Habitats Directive are assessed to be in a favourable condition, and only 9% of the protected habitats that many species need to survive are assessed as being in a favourable condition. The report stresses that species like the Corncrake, the Curlew and the Freshwater Pearl Mussel are heading for extinction here if the current level of habitat degradation continues. Can Ireland really lead the way to positive environmental change? “Imagine an Ireland where we take great care of our natural environment and protect the water, air and land that supports a thriving economy and a healthy society. An Ireland free of litter. An Ireland where we all feel a sense of civic pride in our environment and appreciate its value to our economy, health and society. An Ireland where there is no waste, where everything we discard gets re-used, re-cycled or recovered as part of a functioning circular economy. An Ireland, for example, where cars and buses run on renewable power, where every house and farm can be its own power plant, generating power through renewable sources and contributing excess power to a smart grid. We need to become leaders in this type of transformational change. This is possible and within our grasp in the lifetime of this generation if we are brave enough and imaginative enough to make it happen,” Ms Burke concluded. You can download the State of the Environment 2016 report from the EPA website, view an online e-book version here and get a reasonable overview of the report’s conclusions from the short video below.